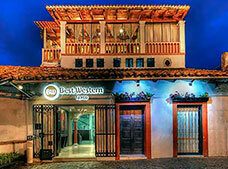 The beautiful and picturesque colonial city of Taxco features several silversmith workshops. Since silver represents the origin, development, and peak of Taxco, this town is the ideal place to shop for this kind of jewelry as well as intricate crafts made of this shiny metal. You should also visit the Santa Prisca Parish Church, which dates back to the eighteenth century and is the religious symbol that identifies Taxco, emphasizing the devotion and the deeply-rooted traditions of the local people. 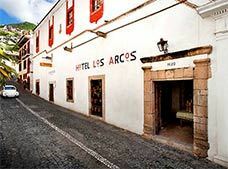 Taxco, an area full of historic monuments, was recently declared a ''Magic Town'', because of its beauty and the deep rooted customs of its people. 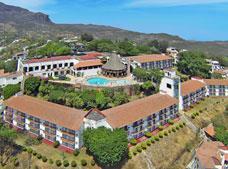 The town is situated on a mountain range in the Mexican state of Guerrero, between rugged hills. 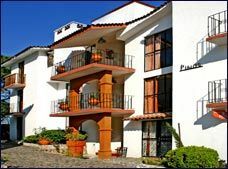 Over time the people of Taxco have adapted to this harsh terrain and the town now comprises of picturesque cobblestone roads, parks and old buildings that really are a display of unsurpassable beauty. Due to the discovery of the mineral rich fields, the area where Taxco currently lies had a special interest for the Spaniards. In 1522, Hernan Cortez named the mines of this region as "Socavon del Rey" (Tunnel of the King), which later would become the town of Taxco. The word "taxco" comes from the Nahuatl language and means "place of the ballgame." Taxco is like an enchanting labyrinth of silver and it's definitely one of the most beautiful colonial areas of the country. This exceptional town, undoubtedly Mexico's Mecca for the production and crafting of silver, features winding cobblestone streets leading to countless historical treasures, ancient temples and museums. Taxco is inundated with works of art and colonial buildings, exciting the spirits of visitors and encouraging them to stay longer. A cable car ride is the ideal way to get a panoramic view of this beautiful city. There aren't many cable cars in Mexico, therefore you should not miss the opportunity to experience this tour that will allow you to see the hills and forests of Taxco, as well as the red tile roofs, typical of the houses in this unique town. 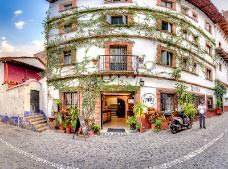 Taxco is a paradise for cultural travelers, because it has many buildings of a great historic and artistic value. Some of them are currently attractive museums, cozy hotels, restaurants or bars, while others continue to function as the homes of the townsfolk. 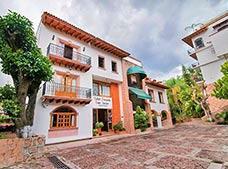 One of the best preserved examples is a building that used to belong to Don Jose de la Borda, which is now the City Hall, and along with the beautiful Santa Prisca Temple, makes up Taxco's main square, known as Plaza Borda. Also worth mentioning are La Casa de las Lagrimas (The House of Tears) that is also situated in the center, named after the mistreatment given to the workers who built this place, and secondly "La Casa del Balcon" (The House of the Balcony) named after the peculiar balcony that characterizes it. 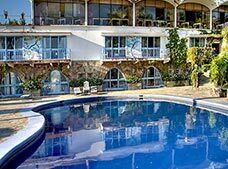 This latter is located at the Agua Escondida hotel. Along San Agustin Street, you'll find over twenty silversmiths selling jewelry and ornaments that reflect pre-Hispanic times. They also make pieces with designs so exclusive and contemporary that they've obtained international awards. In this town, the hands of the artisans and silversmiths create all kinds of high-quality objects. The festivities, gastronomy and silversmiths in Taxco are all excellent. Without a doubt, this town is an interesting, unique choice for national and international visitors, because it has managed to preserve the historic and cultural richness of almost five centuries, and shares it proudly, for everyone's enjoyment.